Combining theatre and storytelling this is a story that will make you laugh, then cry, then laugh again. 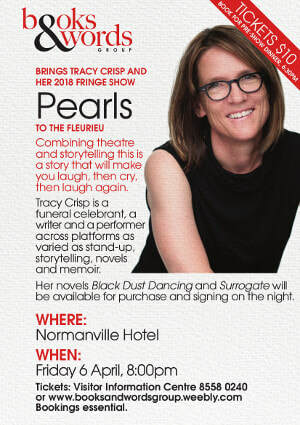 Tracy Crisp is a funeral celebrant, a writer and a performer across platforms as varied as stand-up, storytelling, novels and memoir. Her novels Black Dust Dancing and Surrogate will be available for purchase and signing on the night.